Mobile internet service in most parts of south Kashmir also remained suspended as a precautionary measure to prevent spread of rumours. 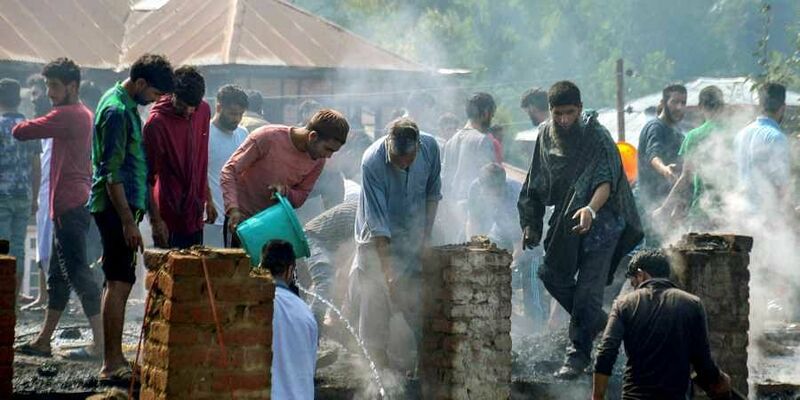 ANANTNAG: Life remained crippled for the second day on Monday in south Kashmir district of Kulgam, where three Lashker-e-Toiba (LeT) militants, including a foreigner, were killed in an encounter by security forces at Khudwani on Sunday morning. Meanwhile, mobile internet service in most parts of south Kashmir also remained suspended as a precautionary measure to prevent spread of rumours. However, train service was resumed in the south Kashmir after remaining suspended on Sunday for security reasons. Shops and business establishments remained closed and traffic was off the road in Kulgam. However, traffic, including vehicles carrying Amarnath pilgrims, on Srinagar-Jammu national highway, passing through south Kashmir, was plying normally. Additional security forces have been deployed at sensitive places to avoid any untoward incident. Work in government offices and banks was affected due to strike. However, schools remained closed on account of summer vacation. Situation elsewhere in the south Kashmir was normal.